We and the fellas at Drifted have been talking a good while about the idea of working together in creative ways that could not only help each community grow but to bring about some great collaborations. 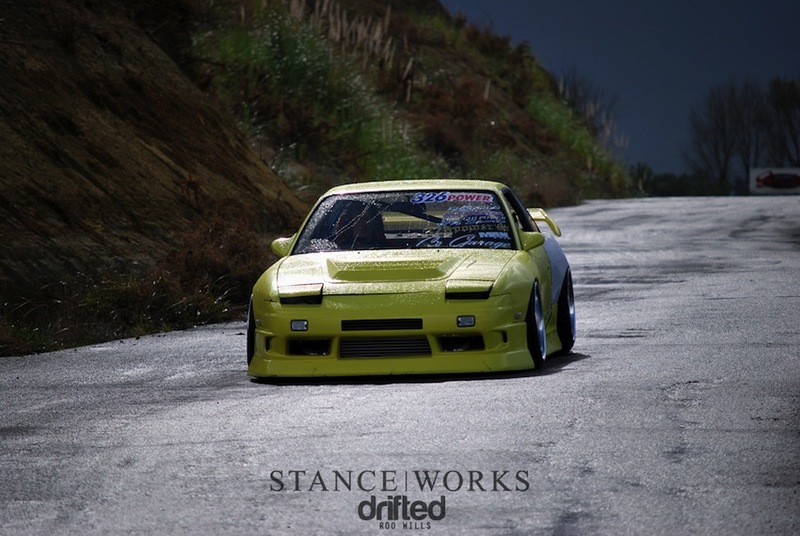 It's with this in mind, that we are proud to announce Drifted joining the StanceWorks Syndicate. 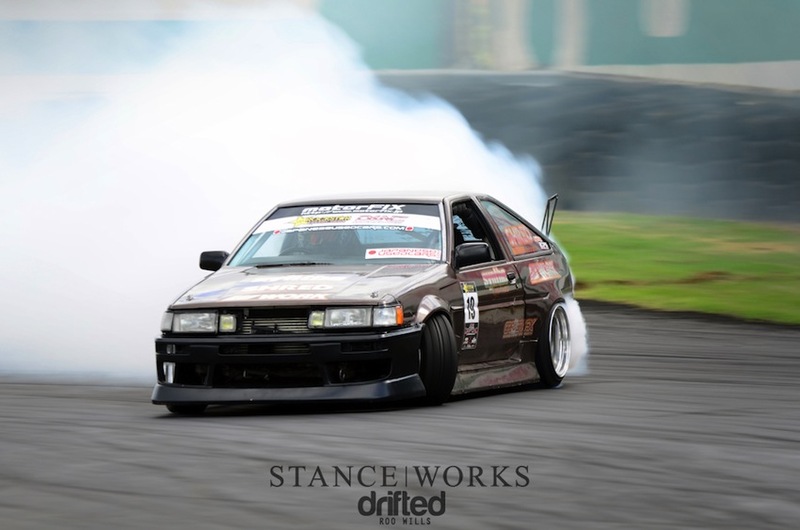 To kick things off, Alex Quail and Jordan Butters have put together a creative writing piece on how they see wheel fitment playing a strong role in the world of drifting... hope you enjoy it as much as we did. Drifting is incredibly 'visual'; it’s about as visual as a motor sport can be. In competition the winners and losers are decided through human eyes, rather than a chequered flag or stopwatch. 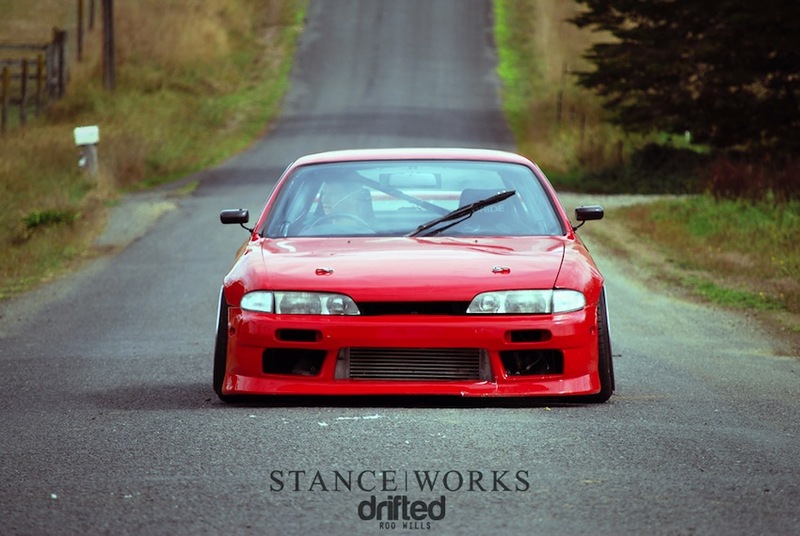 In my eyes, drifting and the stance movement are closely linked. When the word 'stance' is mentioned in drifting circles it often seems to hold a negative connotation for many people. Certainly where I'm from in the UK, 'stance' is seen as a 'lifestyler' interest, only followed by those who can be found hard-parking their cars at shows and creeping around corners so as not to scrub too hard. 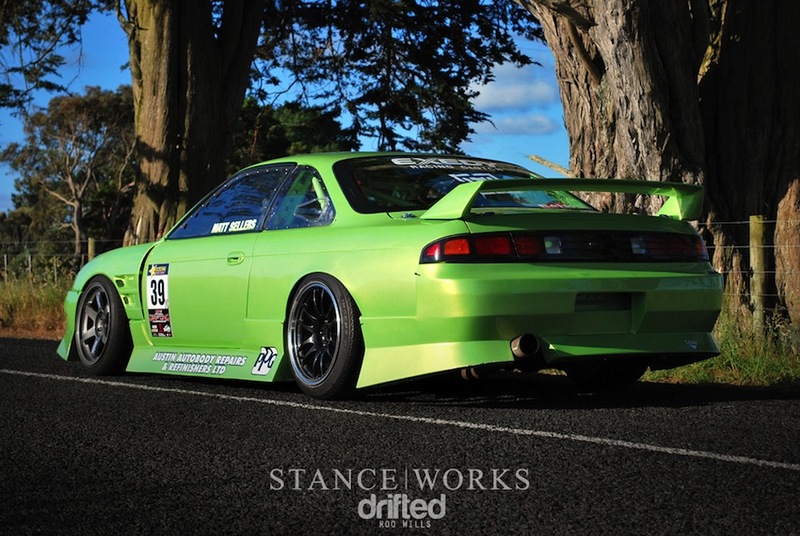 Having said that, most drift fans are more into stance than they either realise, or freely admit. Offset, width, camber, fitment, stretch, fenders (or 'arches' here in the UK) are all words you'll hear used in both circles. It seems drift-enthusiasts fall somewhere along a spectrum; at one end there are those for whom drifting is an extension of their personality and in this ideology they build their cars with a sense of style in mind. Be it quirky, clean, subtle or lairy, rarely will you find a car owned by anyone in this category which hasn't had attention paid to how the car sits, i.e its stance. Wheels are purchased in the lowest offsets possible, at the maximum width feasible, tyres are stretched on and coilovers wound down. At this end, 'stance' really isn't any different to those in the show scene. At the other end of the spectrum you'll find those for whom drifting is all about the competition. Their cars are built to perform over anything else. Function over form is the clichéd term you've probably heard banded around. Wheel width is chosen based on the tyre size that can be used. Offset determined not by what looks good but by complex calculations involving track width, roll centre, Ackerman angle and various other geometry terminology that I can just about blag my way through as long as people don't get too in-depth. 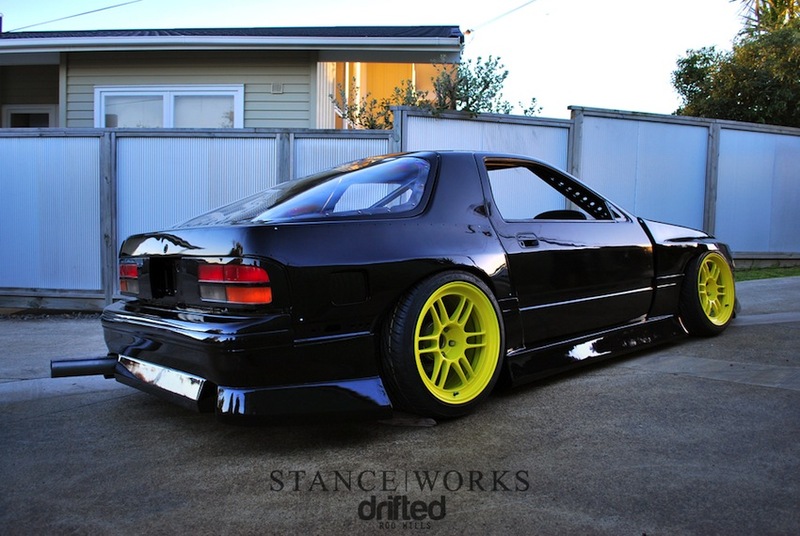 'Fitment' is a by-product of making their cars handle and perform to their maximum potential. The way I see it, many of these competition based cars still have stance. Let’s call it a purposeful stance. There may be centimetres between arch and tyre, they may have sidewalls that sit upright from the edge of the rim, tyres with square shoulders and the ground clearance on them may be considered excessive by some, but seeing a well set up drift car sat there on the start line, ready to perform, I'd still call that stance. Car styling used to be varied and unique between individual scenes and followings. In the late 90s the “Euro” style for VWs and Vauxhalls/Opels was small split rims, stretched tyres, minimal bodywork and striking paintjobs. In contrast, there were those fitting large wheels and not-so-subtle bodykits to their hot hatches (the style often depicted in magazines like Max Power). The scenes rarely crossed over, with car enthusiasts being in one camp or the other. Japanese cars in the late 90s usually wore smaller wheels and were focused on performance; Japan led the way in tuning for smaller displacement engines and turbo performance. Styling was eventually addressed, with bodykits from manufacturers such as Veilside, Bomex and Top Secret becoming popular. The British scene took influence from this, which inspired numerous hybrid (read ugly) bodykits based on Japanese styles. This ended up making most small European hatchbacks looking like poorly executed caricatures. 15 years later, car styling is truly a melting pot of styles, with enthusiasts taking elements from all their favourite scenes to create striking, yet tasteful vehicles. The current trend is for emphasis to be put on ride height and wheel fitment, although who knows how this will evolve in the next 5 years. Whether you favour belly scraping road cars, or low slung track cars, we can all agree that a car’s stance is one of the most defining characters of its aesthetic. Wheel choice, wheel fitment and ride height are all fundamentals in the creation of a visually appealing vehicle. This isn’t a niche ideology; look at any concept car and you’ll find oversized wheels mated with negligible arch clearance. The look of a car with an aggressive stance can be deliberately achieved to create visual impact, or it can be a by-product of a car built for motorsport. Either way, websites and communities like Drifted and Stanceworks unite us in our enthusiasm for cars and our passion for bringing you high quality media content. We'd like to propose a more open minded way of looking at our differing niches, which is where the Stanceworks Syndicate comes in, and its something we're proud to be a part of.